Professional and experienced translators offering full translation services. Please note - if it is a translation of official documentation that you require (i.e. visa documents, marriage certificates, employment contracts, etc), you will need a legally sworn official translator (a "traductor jurado"). All Spanish bureaucracy requires sworn officially stamped documentation. 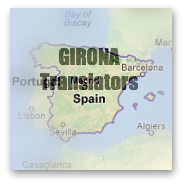 Girona Translators are based in Girona and work throughout Catalunya, including Barcelona. They are native english and native catalan speakers with over 20 years experience. However, they are not a translation agency. They are a small local business - an english woman and a catalan woman who have worked together for over 10 years. Their size allows them to offer a personalised competitively priced translation service. Girona Translators pride themselves on building up quality relationships with other local businesses (and that is why we at real-costa-brava.com like them so much). They will discuss with you your exact needs and will work closely with you to provide the service you require within the time frame you need it by. Confidentiality - in dealing with your documentation. They will always protect your data and information. Expanding Businesses - If you are looking to expand your business by exporting your products and services nationally and internally they can provide you with professional translation solutions to assist your expansion. Local Businesses - If you are a local business or online business and want to market yourself to foreign tourists they can provide you with the necessary translation services. Individuals - If you are moving to Catalunya - buying property or setting up a business you need to fully understand the documentation involved. They can assist you in understanding everything required for your move. In addition to their fantastic translation service they also teach English and Catalan as a foreign language. They are experienced teachers who have taught in the Girona area for more than 20 years. 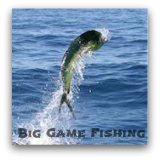 They teach all ages - from young children, to school children to adults. From conversational level to certificate level.